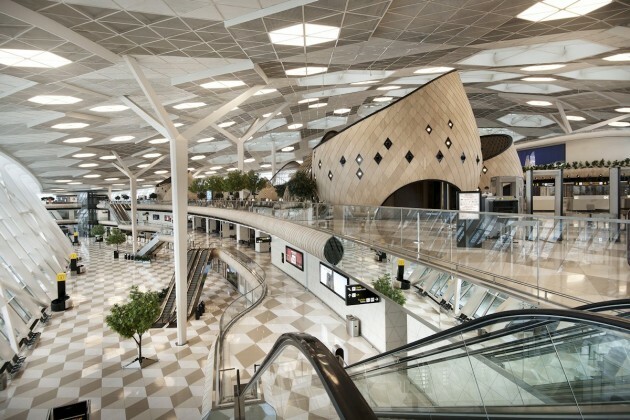 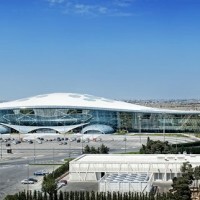 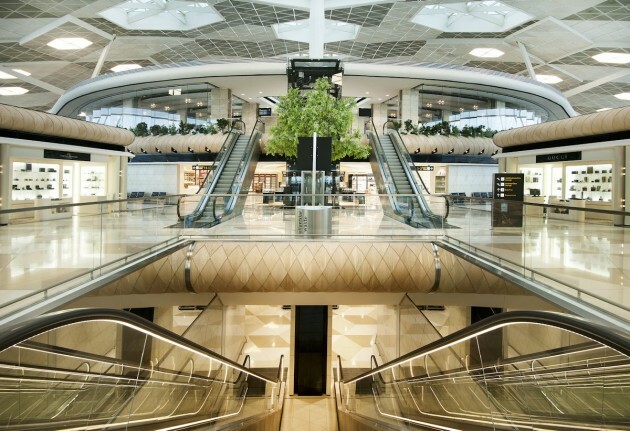 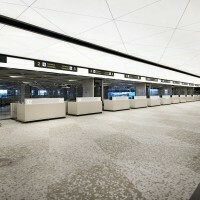 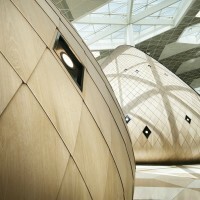 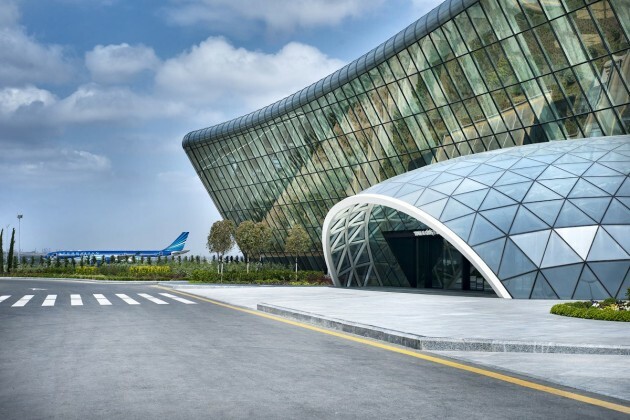 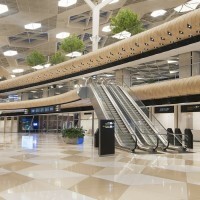 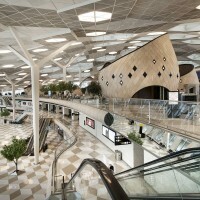 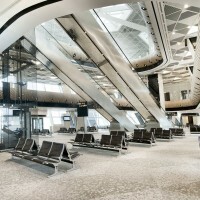 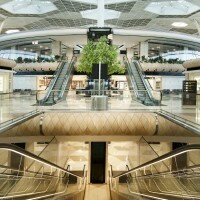 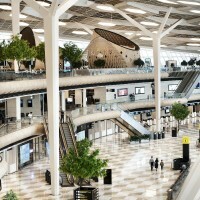 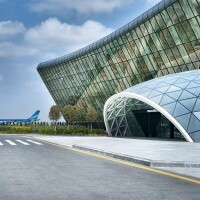 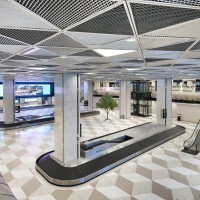 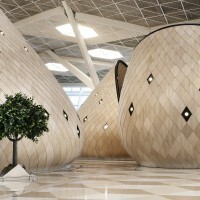 Turkish design studio Autoban have designed the new terminal at Azerbaijan’s Heydar Aliyev International Airport. 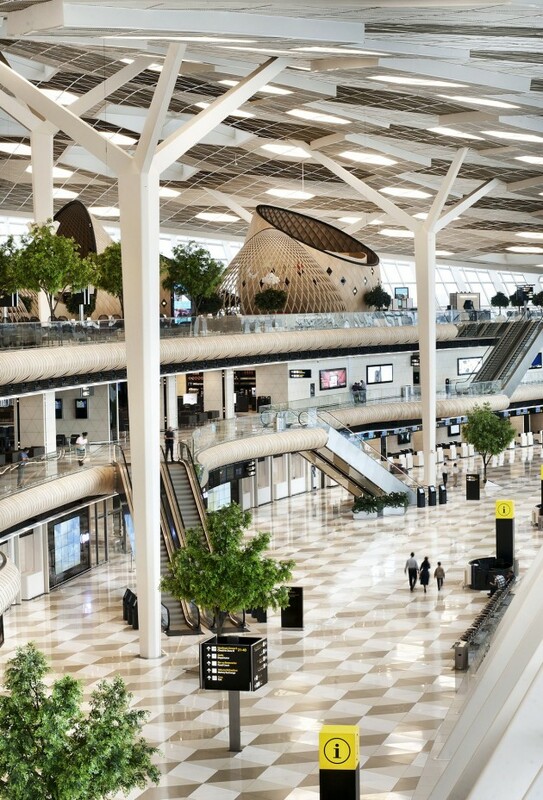 Bearing all the hallmarks of the multidisciplinary studio’s experimental, genre-defying approach, the contemporary interiors overturn airport conventions of cavernous space and impersonal experience. 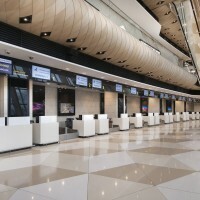 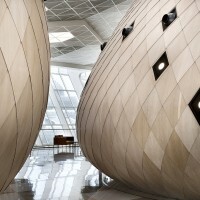 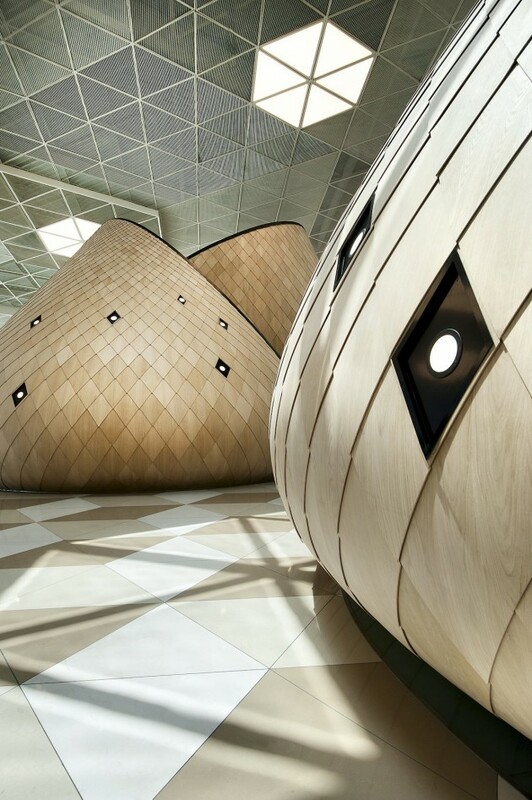 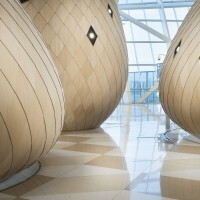 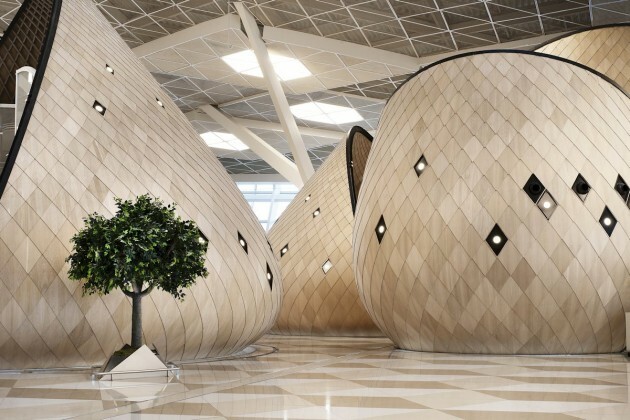 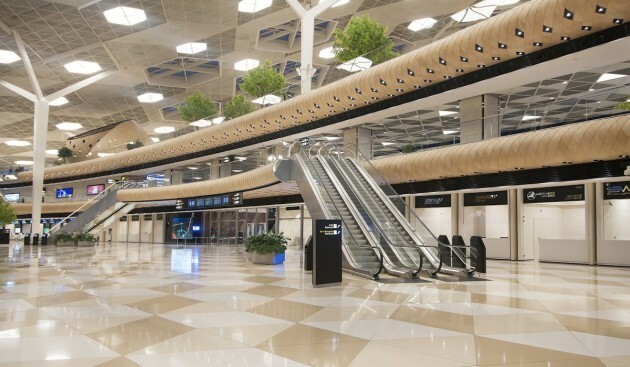 Taking inspiration from Azerbaijani hospitality, Autoban’s Red Dot award-winning design spans the entirety of the terminal’s passenger spaces, and includes striking custom-made wooden “cocoons” that create a sense of welcome and discovery, and opportunities to either meet or retreat. 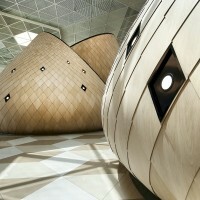 This use of narrative and unconventional forms is typical of Autoban’s idiosyncratic approach. 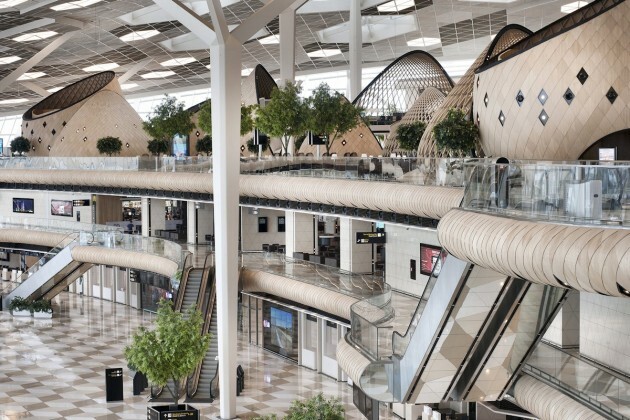 For more than a decade, the studio has developed a reputation for its imaginative, human approach to design, creating spaces that are firmly rooted in cultural, social and geographic narratives, yet offer unexpected and thought- provoking experiences to their inhabitants and visitors. 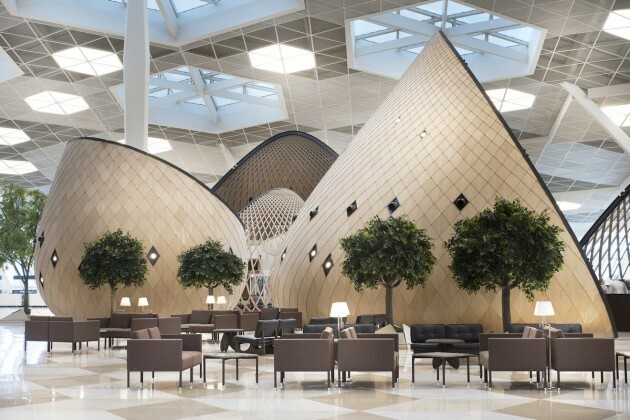 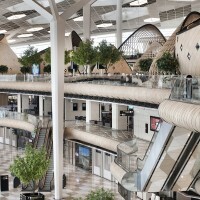 At Heydar Aliyev, their bespoke furnishings and lighting schemes upend airport typologies, opting for tactile natural materials such as wood, stone and textiles, gently and warmly lit. 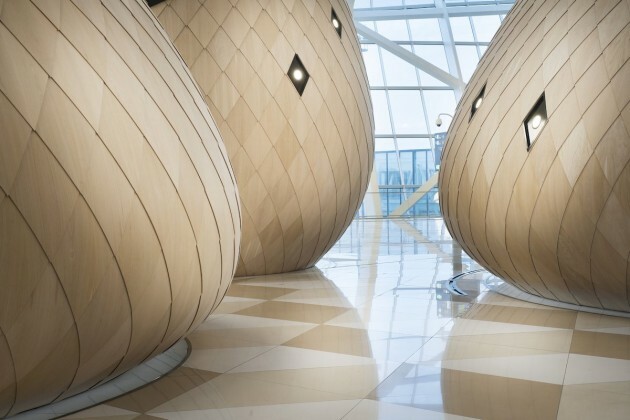 The cocoons – which vary in size and house an array of cafes, kiosks and other amenities – exist at the convergence of architecture and art, creating an inviting, intriguing landscape within the huge transportation hub that challenges expectations of the airport environment.